As we have seen in the past several years, politics continues to complicate health insurance, making it more expensive. As a result, we at DCI believe that to best serve you, we must also be engaged with our state legislators and members of Congress on behalf of our clients. 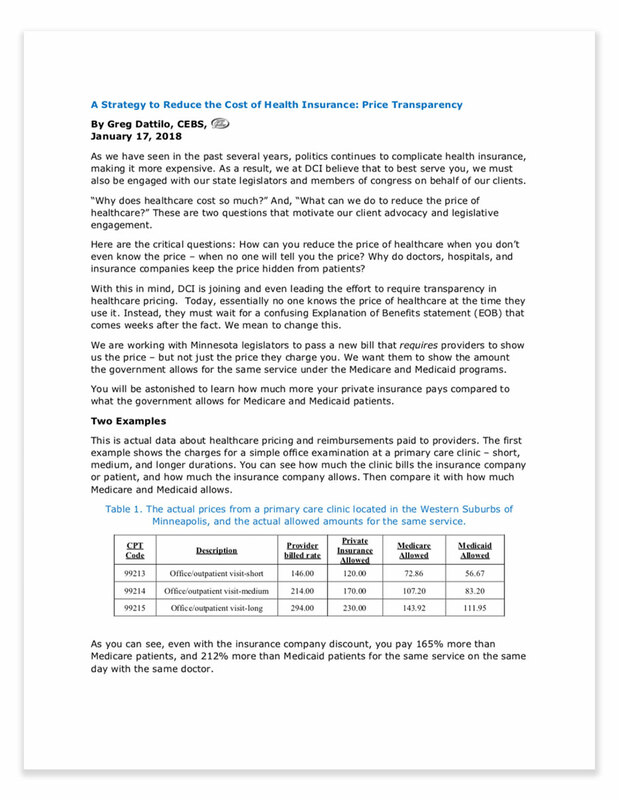 “Why does healthcare cost so much?” And, “What can we do to reduce the price of healthcare?” These are two questions that motivate our client advocacy and legislative engagement. Here are the critical questions: How can you reduce the price of healthcare when you don’t even know the price – when no one will tell you the price? Why do doctors, hospitals, and insurance companies keep the price hidden from patients?